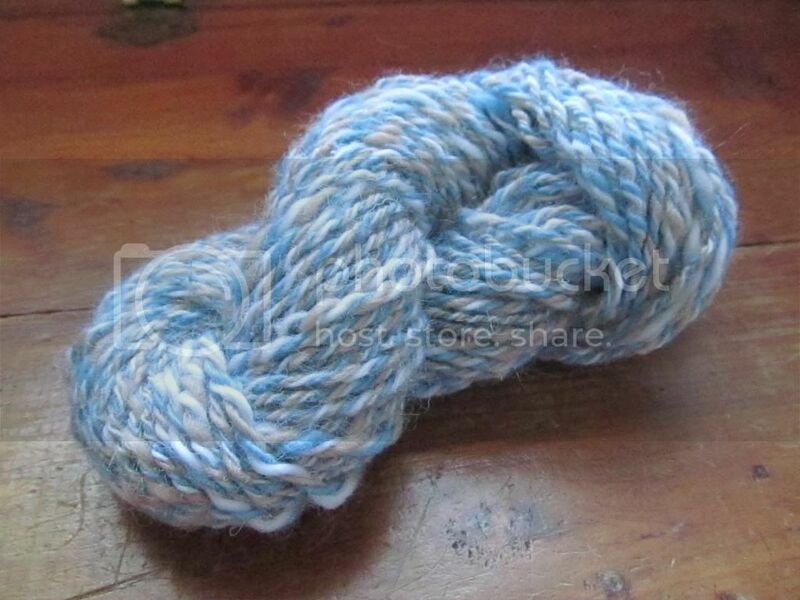 Wool and Wheel: A three-ply yarn. I spun all of the little leftover practice bits I had into singles. 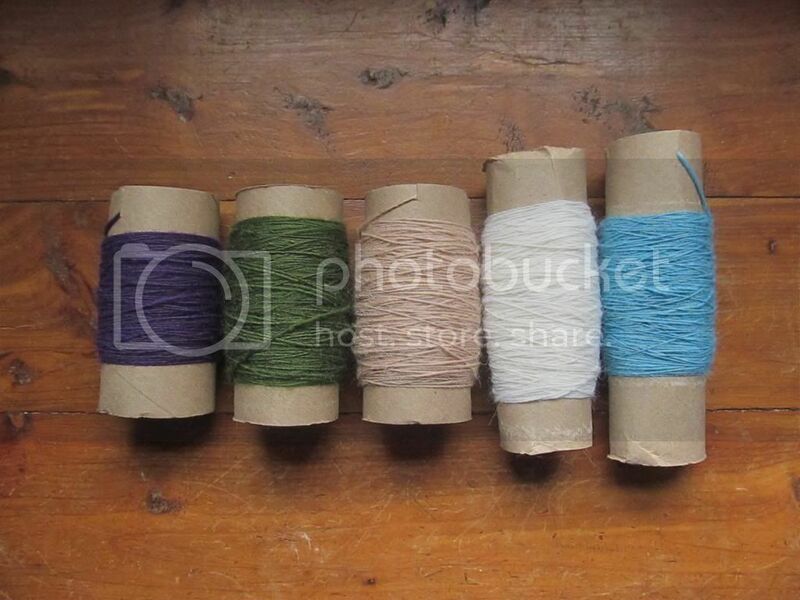 The three on the right below became the yarn. I think I'll practice Andean plying some more with the other two. 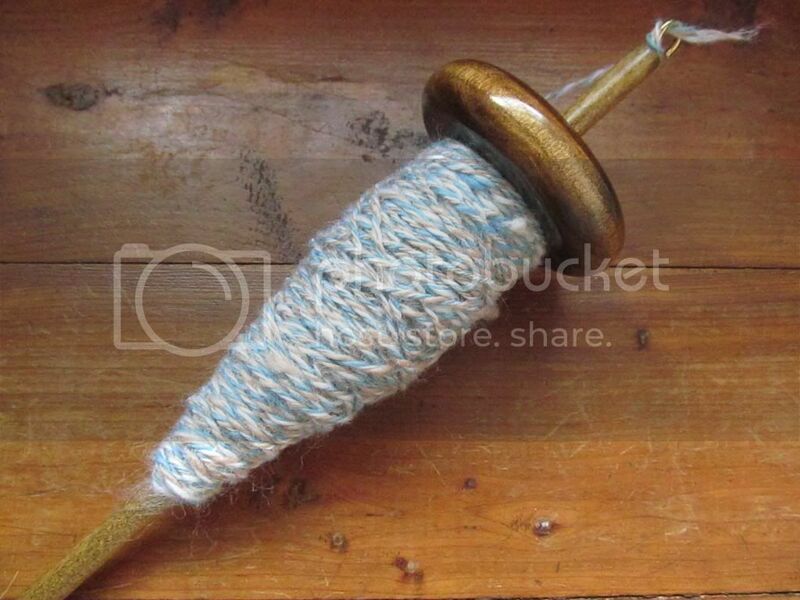 But can I say that plying is one of my favorite things ever? 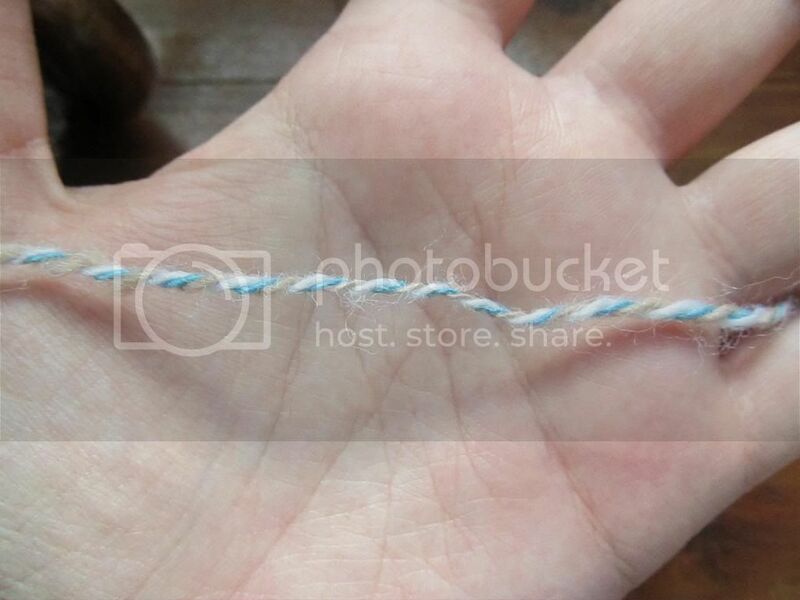 After all the work of spinning singles, drafting and everything, twisting a few yarns into one is so easy and enjoyable. And quick. I've finally started on my first real yarn. 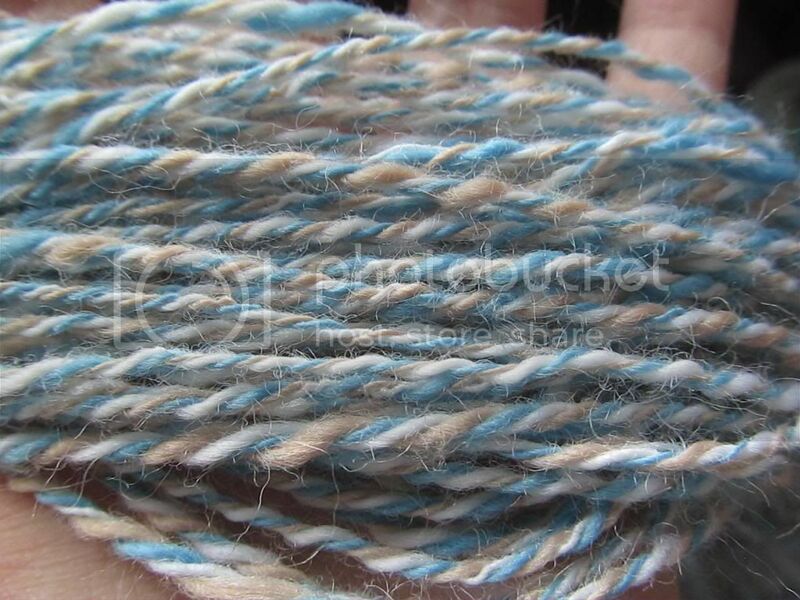 It's from the 10 ounces of this roving I ordered a while back. So this means it will actually be enough yarn to knit with. :) And if I get brave enough, I'm planning on dyeing it sometime this spring or summer with natural dyes.